Ground Penetrating Radar has become the preferred method of non-destructive concrete inspection. At Precision Radar Scanning we have the necessary technologies to facilitate your project. Thousands of dollars can be saved by utilizing our services before you cut, core or drill. Below is a list of our scanning capabilities. If your application is not listed below please contact us before you proceed, as we may be able to assist you in your subsurface imaging requirements. 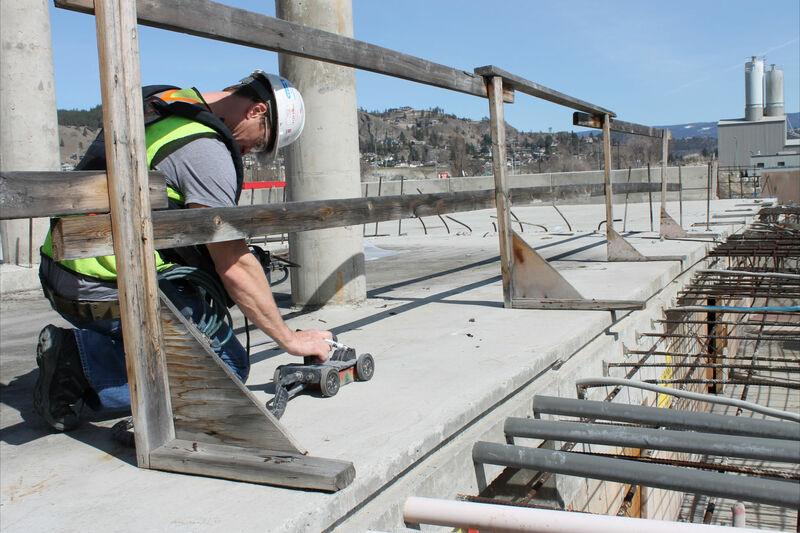 We have the ability to scan suspended slabs, slab on grade, walls, footings, columns and in hard to reach areas. Scans can be provided on the ceiling prior to anchor drilling. 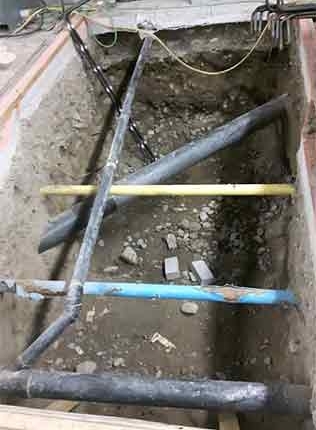 Cutting conduit, high voltage lines, data lines, fibre optics, or under floor ducts can be both catastrophic and very costly. A GPR scan of an area before cutting can almost eliminate this risk. GPR scans can detect both PVC and metal conduit with a concrete slab. 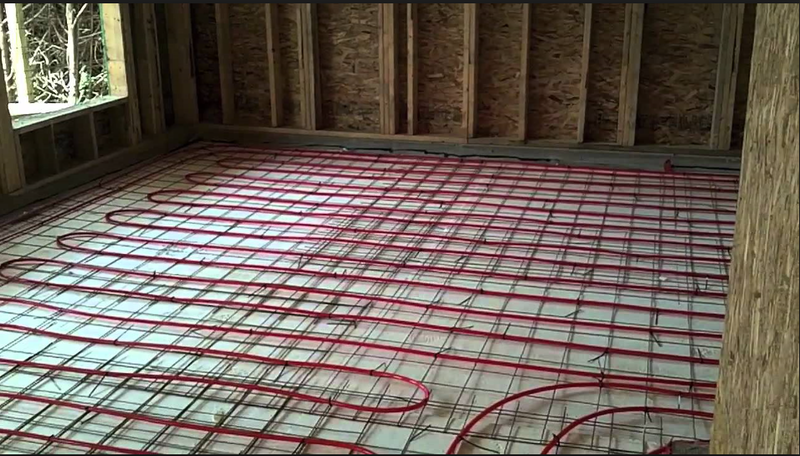 The picture shown here depicts a number of conduits within a concrete suspended slab. Precision Radar Scanning can determine a safe place to core your holes. 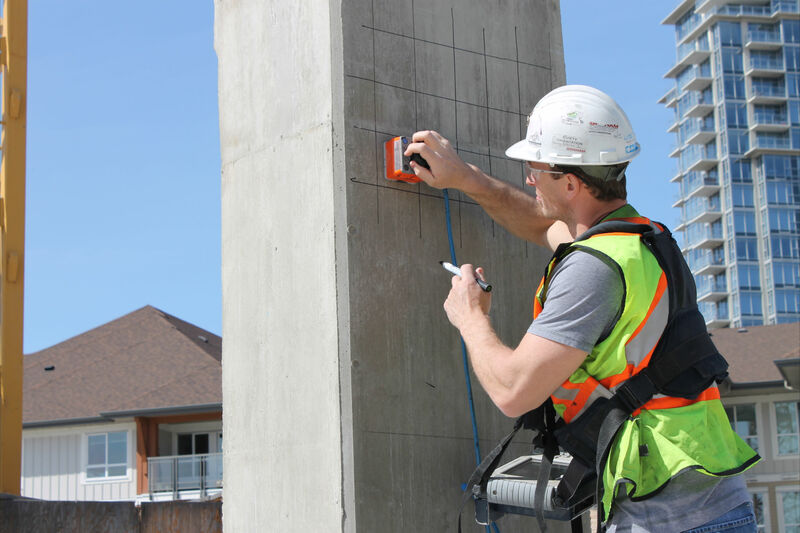 Structural Engineers and construction professionals hire Precision Radar Scanning to determine if a block wall has been constructed correctly. Precision can survey a block wall to determine which cells are filled with concrete. We can identify the exact location of vertical and horizontal bonds beams. Furthermore the cells filled with concrete can be scanned to pinpoint the structural steel and any potential conduit. As pictured here, Precision was hired to determine if all the cells were filled at a new building in Kelowna. 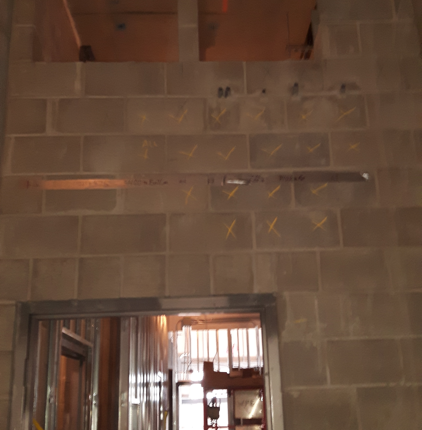 We were able to determine numerous cells were void of concrete and needed to be remediated. The yellow x’s in the photo mark all of the cells that did not contain concrete. Cutting or drilling radiant heat piping can be a costly and a difficult repair. Precision can successfully identify and map radiant heat lines within concrete slab prior to concrete coring or anchor drilling. Precision can easily detect and accurately map radiant piping as depicted here. P.T. Cables can hold up to 100,000 pounds of tension and, if severed, the release of this tension can force them to break out of the concrete floor causing structural damage and loss of support within the structure. GPR scanning is highly recommended even if only drilling anchor bolts into a post-tensioned slab. Precision’s technicians can easily scan the underside of a ceiling/suspended slab prior to anchor drilling, as pictured. Several pipes are accurately located and undamaged during the cutting and excavation process. A cut or damaged pipe could delay a major project for days and cost thousands. 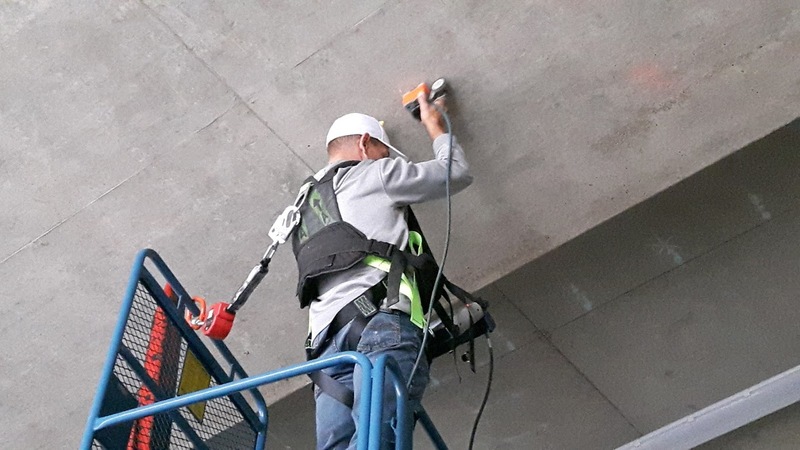 GPR concrete scanning services performed at Kelowna International Airport during one it’s recent renovations. Scans revealed several in slab and sub surface pipes. What are the ramifications if one of these pipes were cut or drilled?